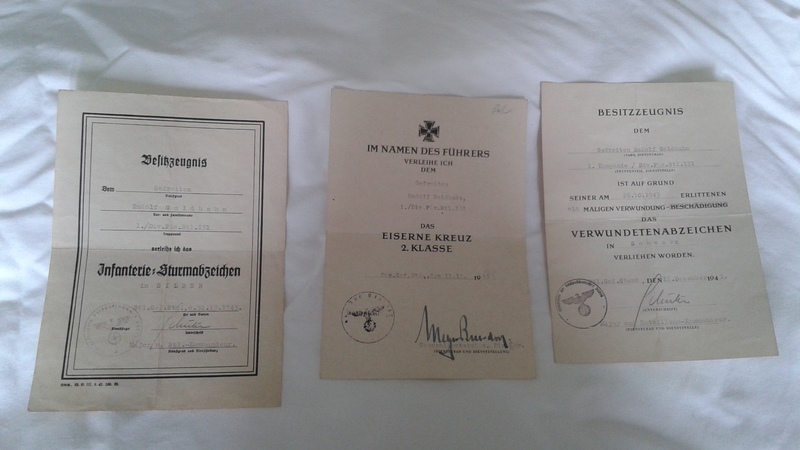 Interesting group to a Gefreiter in the German army. All three are named to Rudolf Goldhahn. The docs are for an Infantry Assault, Wound Badge in black and Iron Cross 2nd Class. All you need are the awards to go with and you have a great display to a combat veteran.